The 2014 Lexus LX570 is a unique vehicle in that it is one of those few luxury sport utilities that aims for capability followed by luxury. As such, it is not as luxurious as most of the competition on the market, but it is one of the most capable offroad machines you can get that happens to have a luxury interior. This SUV has won the Baja 1000 two years in a row, and for good reason. The LX570 is difficult to explain to some luxury buyers. It’s not truly a luxury SUV in the same sense that other luxury utes might be. 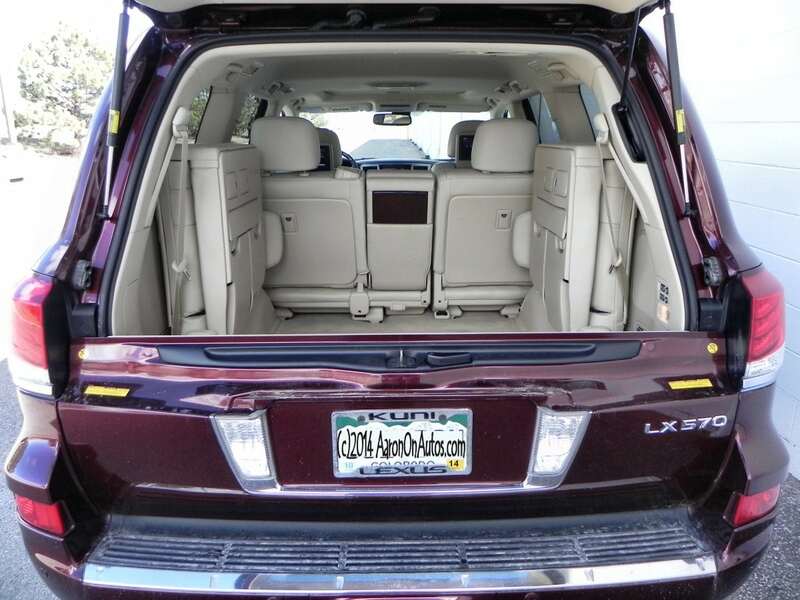 While the interior appointsments are very luxurious, the 2014 LX570, as a whole, is not as luxurious or comfortable as others might be. Despite this interesting quirk, the LX570 has a strong global following. 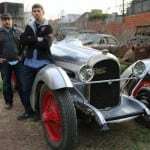 It sells very well in some parts of the United States, South America, and extremely well in the Middle East. 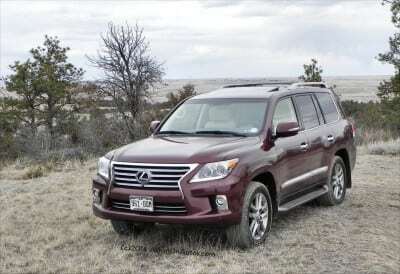 This is because of all of the luxury SUVs you can name, the 2014 Lexus LX570 is likely the most offroad-capable. 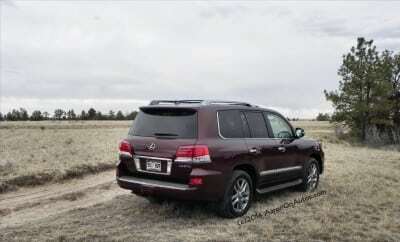 In a nutshell description, the 2014 LX470 is a Toyota 4Runner Trail Edition (review coming soon) with luxurious interior components and unique exterior treatments. 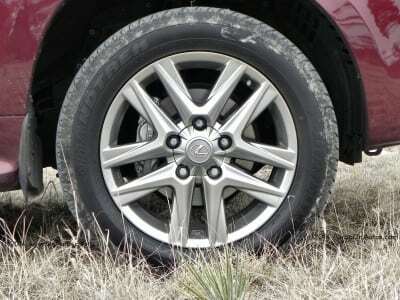 This is not to downplay the fit and finish of the LX570, however, it is to play up its extreme capability. 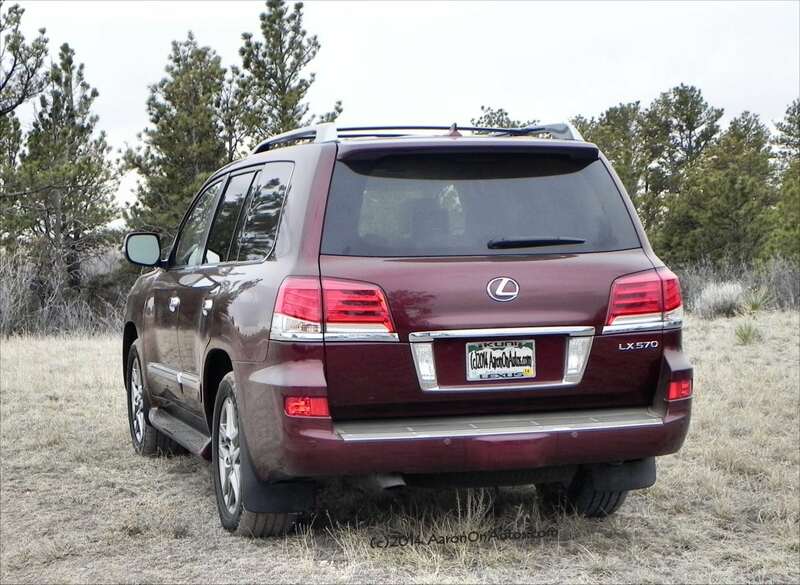 Compared to other luxury sport utilities, the 2014 Lexus LX570 is far more offroad capable than most. In some parts of the world, Toyota products are legendary for their capability and endurance and the LX570 lives up to that reputation. This luxury SUV is more than capable of climbing, digging, and sloughing. Although many may question why someone would purchase a $90,000 luxury SUV to go offroad, there is a definite market for this style of vehicle and the Lexus dominates it. It passed all of our tests admirably, showing it was as capable as the 2014 4Runner Trail we used as a baseline. 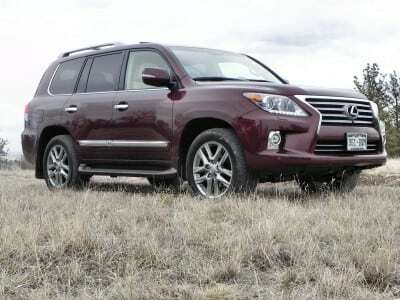 On the highway and in the city, however, the LX570 is not as comfortable in comparison to some of its competition. Made for offroad and rough driving as its core mission, the 2014 LX570 is less smooth when put on pavement. It is very comfortable, of course, but in a class where comfort is everything, it falls short. 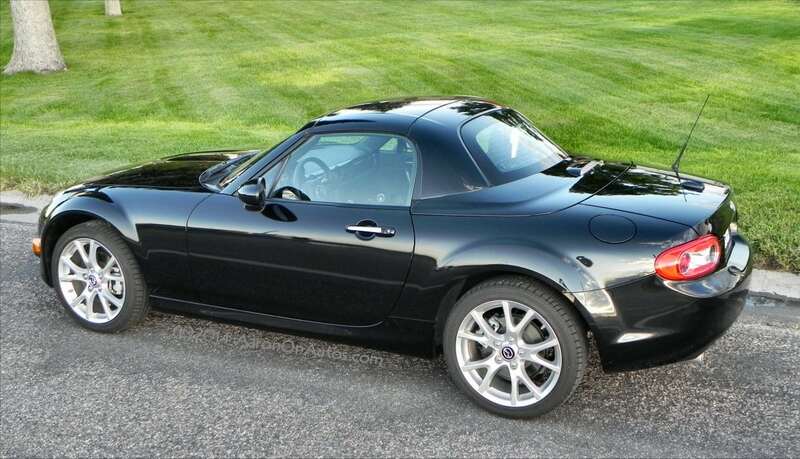 In town and on the freeway, it’s greatest strengths are its fast acceleration and powerful stance, but ride quality is low and noise level is not as good as might be expected from an SUV at this price point. 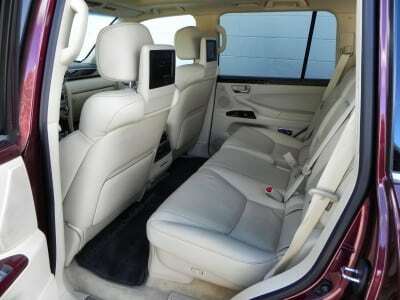 The leather interior of the LX 570 is beautifully-stitched and seating is soft and very adjustable, even in the third row. Space inside the 2014 LX570 starts with an overall feeling of expansiveness and delivers on that with good seating arrangements that result in a feeling of roominess. The third row is functional and as comfortable as can be expected, though the fold-out process is clunky and only partially automated. Cargo room is decent, but may be some of the smallest in this class thanks to the way those third row chairs fold up against the sides of the cargo space rather than down flat. This is odd given that the second row does fold flat and the 2014 Toyota 4Runner Limited with its third-row option also folds the third row flat. 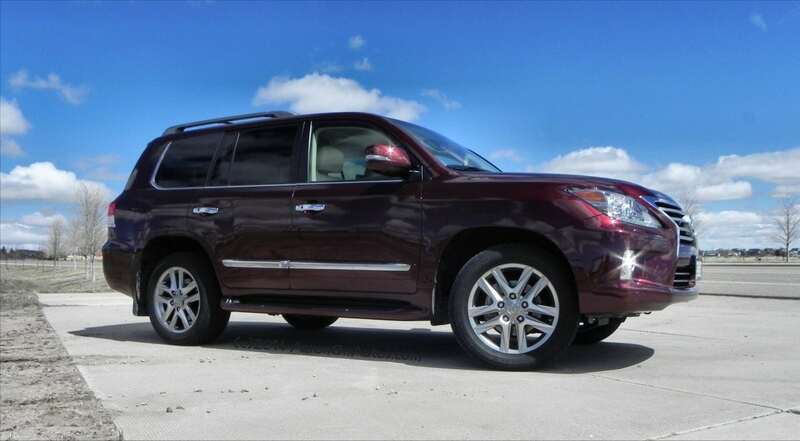 From the second row, however, the 2014 Lexus LX570 is very comfortable and the optional Dual Screen entertainment system is good, but beware that toddlers in their safety seats can kick the screens if the front seat is most of the way back. The entertainment system includes quality wireless headphones and a remote control tucked into the center armrest of the second row. In the driver’s seat, though, the whole interior comes together. The combination of beautiful dash treatment, soft leather (including partial aniline in our test model) and the lovely use of real wood inlay finishes the cabin well. The center console in our test model housed a small refrigerator for beverages while the infotainment system, thanks to the Lexus up-treatment on the Toyota system, was easy to use and not nearly as clunky as expected. 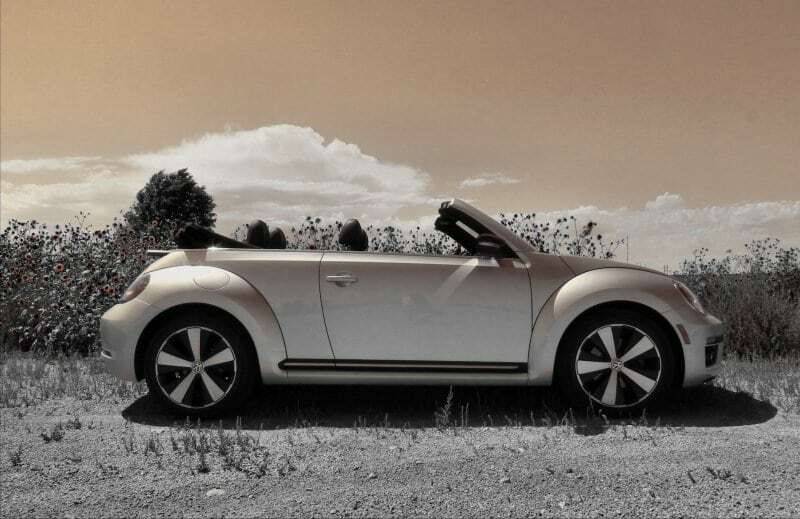 Small touches like double visors and easy-reach controls make it an easy drive. Because the LX570 is all about offroad, however, there are a lot of extra switches and not all of them are well-placed. The center console, for example, sports offroad controls in toggles that are easy to bump and a little confusing, requiring the driver to look down to see which one to select. This odd placement belies the otherwise well-done cockpit. 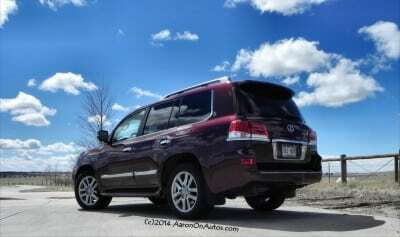 It’s easy to enjoy the ride in the 2014 LX570, though, despite these quirks. The wooden steering wheel is a nice touch and the instrument cluster is easy to view without distraction. Finally, the air ride system allows the driver to adjust the height of the LX 570 off the road as well as automatically lower it when the vehicle is parked to make entry and egress for this tall SUV far easier. 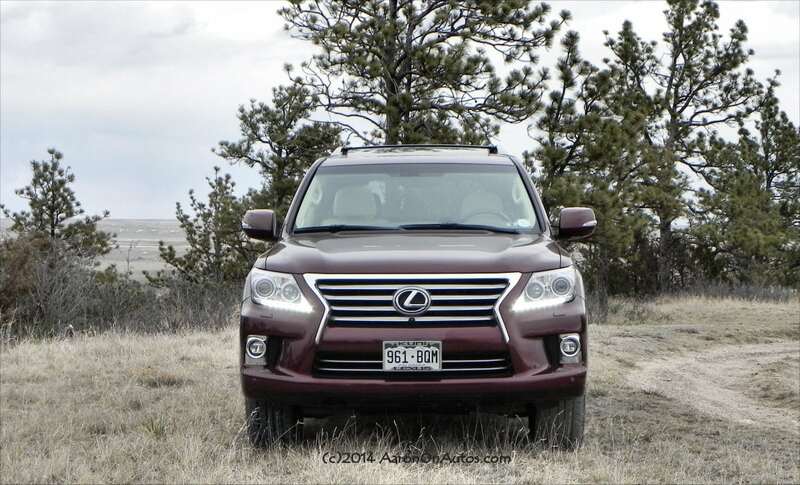 The heart of the 2014 LX570’s driving experience is in the tuning and engine. 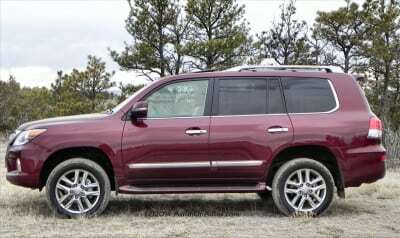 The 5.7-liter V8 comes straight out of Toyota’s Tundra pickup truck and gives more than ample power to this big SUV. It’s mated to a well-conceived six-speed transmission and a TRD-based offroad drivetrain. The V8 puts out 383 horsepower and 403 lb-ft of torque and a combined 14 mpg EPA rating. Steering is far less truck-like than it is in similar Toyota offerings, though maneuverability in a beast the size of the LX570 is rarely easy. 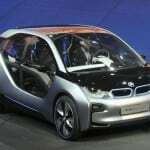 That’s augmented by some driver-assist electronics, however, with a good backing camera and smart radar system for noting obstacles. 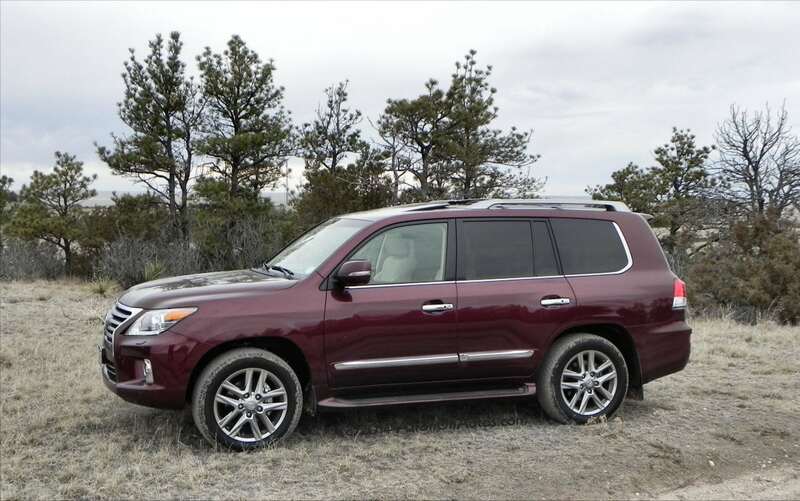 Key competitors to the 2014 Lexus LX570 are the GL-Class from Mercedes-Benz, the Infiniti QX80 (reviewed here, comparison coming soon), and the high-selling Cadillac Excalade. 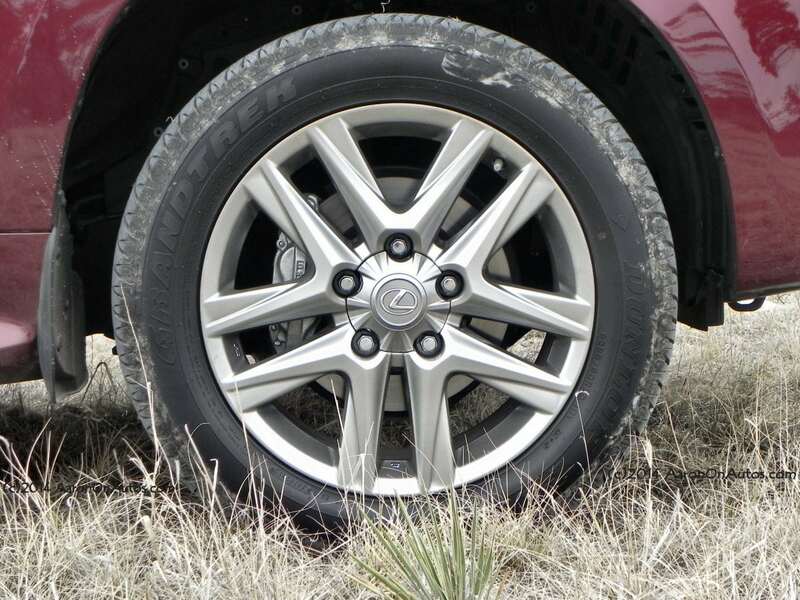 Of these, none are as off-road ready as is the LX570 when it comes to extreme capability. 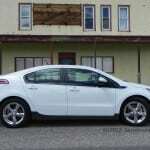 Yet all of them, with the possible exception of the Cadillac, beat the Lexus for interior fit and finish and ride comfort. 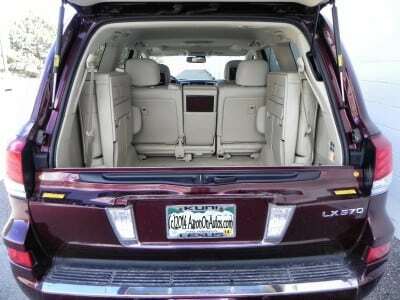 The QX80 is larger, the GL-Class is more luxurious, and the Escalade is a smoother ride at a lower cost. 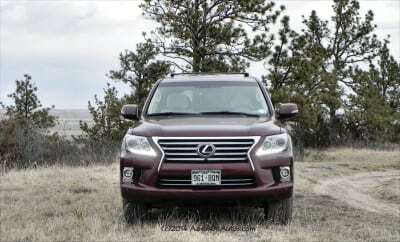 Yet comparing the LX570 to these others is not really apples and oranges, as the Lexus is a beast all to itself that really doesn’t match the market aims of the others. It’s not for everyone, of course, but it’s definitely unique and fits a sure niche. Very offroad capable and ready for anything you can throw at it in terms of mud, rocks, sand, and more. The powerful engine is extremely muscular in its response, giving a sure feeling of confidence when driving the LX570. Very pricey for the segment when comparing fit and trim level. 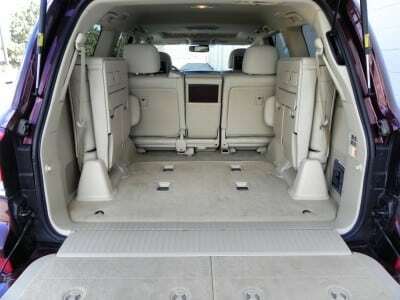 Cargo room is not exceptional and the clunky third-row fold-down and halfway automation is not impressive at all. 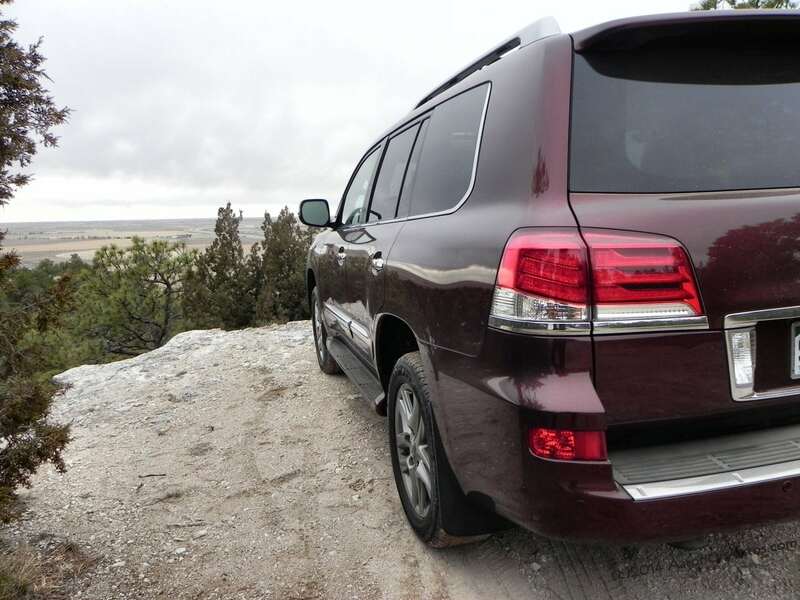 To pull it all together, the 2014 Lexus LX570 is a capable, very well-appointed luxury SUV whose primary strengths are in its go-anywhere abilities and its strong Toyota heritage for durability. It’s an unusual luxury SUV in that it aims primarily for offroad prowess, often at the expense of some comfort, but still manages to deliver some very compelling appeal. Vehicle was a press loan from the manufacturer. A total of 290 miles were put on the LX570 in a mixture of highway, town and city driving as well as some light and medium offroad.